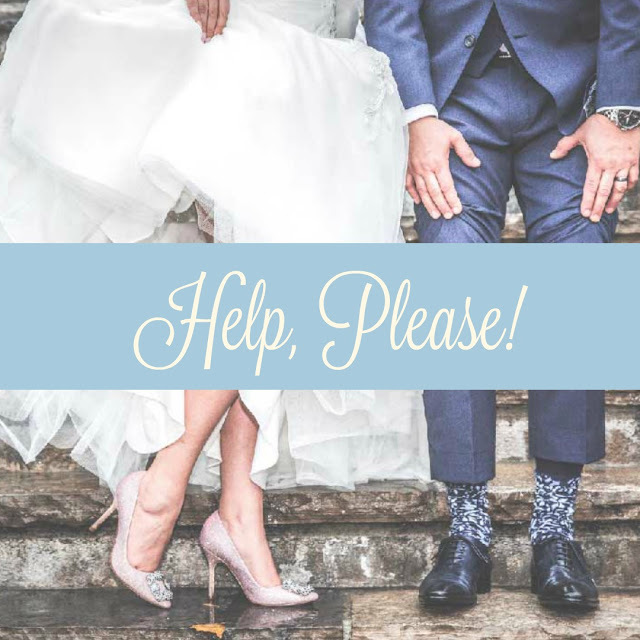 I hope that cute pictures of the shoes got your attention because I NEED YOUR HELP TODAY! All four of my kiddos are in an upcoming wedding and the sweet bride whom I love so much has given me a lot of freedom in their clothes on her big day. I have some colors and such I need to stick to but it's the sky's the limit when it comes to where I'll shop. I'm hoping some of you ladies have some great recommendations. I'm looking at you...recent mothers of the bride, brides, wedding planners, aunts of the brides...anyone who's been wedding planning lately. Help us out! I've searched Nordstrom, Macy's, Dillard's, and J Crew and have found some cute items. During my search I also found random websites that appeared to have DARLING dresses. But I'm just wondering if the quality in real-life is as good as the pictures. Have any of you ordered from websites you'd highly recommend for dressing my crew? Or even websites you don't recommend? If so, PLEASE share!! I have no doubts others reading will appreciate your suggestions and opinions just as much as I do. Best place to shop for flower girl dress, junior bridesmaid dress, boys' suits, and anything else we should add?? THANK YOU SO MUCH! I really appreciate your help! *I shared all the details from mine and Tab's big day! And how thankful I am Pinterest didn't exist back then. *One of my favorite weekends celebrating a sweet couple's wedding in New Orleans. *Tab and I did a little "Marriage Talk"-Part 1. Again, THANK YOU SO MUCH! I can't wait to read your comments! Don't order suits on Etsy! I ordered my son one for our adoption day, directly according to their measurements, and it arrived days before our big day and was HUGE. It left me scrambling! David's Bridal and Men's Wearhouse are the places to go when getting married in my area and are online. I can’t wait to see pictures of what you choose. What fun! Strasbourg online is an amazing site to look at possible dresses for your girls. Very nice quality! The last time I ordered K a flower girl dress, I found the cutest stuff on Etsy. I was so much cuter (and less expensive) than at department stores. My 2 daughters are in their Aunt’s wedding this coming June. We purchased the flower girl dresses from Etsy. I believe the ring bearer outfits are from Osh Kosh/Carter’s - Navy dress pants and white collared shirts. Then we purchased bow ties and suspenders off Etsy from a company called Mini Swag. My daughter has been a flower girl in 2 weddings and both dresses and from Etsy. Super cute and poofy! I’ve always bought suits for my sons at Kohl’s or Belk. Hi! I’ve been reading your blog for a long time, but I’m a new mom so I’m not usually one to comment advise, I enjoy reading yours for sure! :) However, when I got married 4.5 years ago we got my nephews their ring bearer suits at Crew Cuts and they fit so perfectly, were such a nice quality and looked absolutely adorable on them (they were 10 and 7 at the time)! When they tried them on, I got choked up and I’m like you-I don’t usually get emotional very easily!! The ladies at the store were also very helpful and nice to work with! Hope this helps! Sorry my baby daughter is the first girl in the family so I’m learning about all the girl stores now haha! I think it all depends on how much you’re willing to spend. The girls are in a small wedding in March and we found dresses on Zulily. Trish Scully dresses are precious. I found several on Nordstrom that we liked too. I just recently ordered flower girl dresses for my daughters on Etsy. They were adorable and fit great! I also just bought my son a suit for my daughters baptism at Dillard’s! I couldn’t find anything anywhere else for him! My flower girl dresses were from H&M. They were $28 and something they could wear again! Also try Etsy and David’s Bridal! Oh, and with Easter coming you may be able to find dresses at TJ Max. The last flower girl and junior bridesmaid dresses we got were on Etsy. I don't what shop but they were both great! Dillards lots of times has matching fancy dresses in smaller and bigger girl sizes. And coordinating ones as well! I don’t have a recommendation for clothing but if you need kid’s dress shoes you have to check out Footmates!! They are super cute, great quality, and reasonably priced! You can get them online at Nordstrom and Zappos. I highly recommend them! Good luck with your search, can’t wait to see pics of your kiddos from the wedding! Hi! My sons were in a wedding and we got the best suspenders and matching bow ties from Etsy. I don't think I would get suits from that site, but the suspenders and ties were awesome. I got my daughter's flower girl dress from Dillard's and it was gorgeous and great quality too. Good luck and happy shopping! Janie and jack online for quality pieces! Hi Erika! I just got married a few months ago and I got my bridesmaid dresses online from Azazie. I thought the quality was great (I was super skeptical at first!) and the prices were very reasonable. I noticed that they also have Junior Bridesmaid dresses, so that may be an option, although I didn't purchase that for my Junior Bridesmaid (she was tall enough to go with a regular Bridesmaid dress). I didn't see any Flower Girl or Ring Bearer outfits, though. Good luck with your search!! I know Amazon is pretty hit or miss on clothing sometimes, but I just bought my 7-year-old a GORGEOUS dress for her upcoming 1st Communion for only $60, which is basically a flower girl dress. ;-) And with free returns and 2 day shipping, it is definitely worth a shot! JJ’s House online is the best. My two granddaughters were recently in my sons wedding. The quality of the dresses is excellent. I got married in December and ordered my 3 flower girl dresses from JJ’s house. They were excellent quality and there were TONS to choose from. For the ring bearers we bought their tuxes at Von Maur and they were a 3rd of the price of anywhere else I found! Janie & Jack online, but more expensive! I would also look at Etsy and Macy's. So cute!! Honestly, Gap & Old Navy have some cute stuff too and its great quality. We ordered our children’s online from Best Dressed Child. Good luck! Chasing Fireflies has great dresses and so does BHLDN (that’s Anthropologies wedding website). My daughter was in two weddings this past year and we got dresses from both of those places. Good luck! A little unconventional but I've gotten my son's suits, shoes, belt, etc. for several weddings on Amazon! The perk is free shipping / free returns, so I'll order several brands in a couple of sizes if he's in between and just send back whatever doesn't work. It depends what you're looking for, though - if you want quality that will last, it may not be the best option; if you want something that looks great in pictures and does the job without breaking the bank (knowing they may never wear it again before outgrowing), Amazon is perfect! At that price point, you can even afford a little tailoring for a custom fit. For flower girl dresses, I've had luck with nice quality dresses for reasonable prices at Dillards. I ordered my son a suit from Amazon and I was very impressed with the quality for the price. I ordered two sizes to see which would fit him better and sent the other one back. GIOBERTI was the brand. I also ordered a bowtie that I liked but I've also ordered bow ties from etsy that were great too. Dillards, Macys, Etsy and even Jane (flower girl dress) has cute ones! Janes are hit and miss just like everything else on there so you may have to look for a few days, but they are on there often! For boys suits I would do J crew factory or Belk. So many options for girls! This one is darling. My little one is in a wedding and this is what she is wearing. My little one is in a wedding next week and this one is adorable. I was shocked by how well made it is based on the price. David’s Bridal!!! That’s where my daughter got a dress when she was in first grade. She is now 14 years old!! My daughter just wore this dress as a flower girl. It was darling in person! I ordered my flower girls dresses from Zulily for my wedding two years ago. The brand was Richie House and they were adorable with soft linings and lace! Great quality and only around $30. For my ring bearer I ordered a bow tie and suspenders set from Etsy and his mom used a short sleeve white button down shirt and khakis he already had. My brother is getting married soon so I'm going to need some ideas. We have a local shop for suits, but gowns are hard to find. Flower girl dresses 100% from Etsy. My girls were in a wedding in November and they were perfection!! I bought my daughter her first communion dress from Trish Scully — the ALLESSANDRA dress and it was everything as magical in person as it was online. Has an amazing vintage, delicate look to it and would be perfect for a wedding. I have not purchased any other styles but I’d guess anything on her site would be perfect! The other place I’ve had great success is Chasing Fireflies however it’s a bit more pricey. For my wedding a couple years ago, we ordered my nephews (then 2 and 5) tuxedos with the groom and nothing fit.....so my mom picked up backup outfits in nordstrom's and they were perfect everything fit perfect and the boys just wore black sneakers.I think the only items from the tuxedos that fit were the white shirts. It is so hard fitting young boys into adult tuxedos. A lot of my friends have found dresses for their daughters from either nordstroms or davids bridal. I would personally lean towards nordstroms for their return policy. Hope you show us all your kids dressed up for the wedding. If you order from Etsy, just make sure you check reviews first and double check their turnaround time! Especially if you order from someone out of the country. Things can get stuck in customs, etc. (All of this coming to you as an Etsy seller, of course. 😉) Can't wait to see what you pick! Etsy has some amazing options with great quality! I have also had good luck with TJMAXX although it can be a hit or miss. You may have to pop in a few times which works if the wedding date is still a little ways away. Good luck in your search! Your kiddos will look precious no matter what! We are getting one for my daughter at BHLDN which is anthros wedding site. We love David's Bridal for flower dresses and Men's Warehouse for suits for the little guys! Also, I know this sounds ridiculous but CHECK AMAZON! They literally have everything and so far I've never been disappointed with any clothing I've ordered there. I just wore the MOST GORGEOUS ball gown this past weekend to a ball we went to and I literally got it on Amazon for only $35. People could NOT believe it was from Amazon. We actually just ordered a sports coat for our little guy on Amazon, too! When we got married about three years ago, we did flower girl dresses from Etsy and ring bearer dress shirts and bow ties from Children's Place and loved all of it! Etsy has the cutest dresses for great prices! Dillards normally has a ton of dresses and suits for boys. I know a lot of people who have waited until First Communion season to find a white dress. But we got our toddler a dress from Etsy. My nephew was a ring bearer in the same wedding and he got his pants and shirt at Janie and Jack. Bow tie was bought online. Check out BHLDN which is part of Anthropologie. They have really pretty flower girl/junior bridesmaid dresses. I’ve also purchased one from Strasburg. As for boys suits, maybe check out Crewcuts. I just got married last May. For Junior Bridesmaid I had the best luck at David's Bridal - they had a lot of color options to choose from and I liked the quality for the price (my girls dresses were from ShopRevelry and we did not have an issue with colors not matching). We got suits for the ringbearers at H&M - best quality and price! We got my nieces flower girl dress off of etsy and were SO happy with the product quality - if you go this route, be sure to allow plenty of time for shipping. The shop I used was TutuGirl - a lot of her dresses are similar to a brand that The Knot advertises but are like half the price and just as beautiful. Another shop I considered before going with a different dress was NicolettesCouture. We have ordered from Azazie and also twice from JJsHouse in the last 18 months and had great experiences with both sites! For my wedding 2.5 years ago, the flower girl dresses were from online at Walmart (tulle, light pink and gold sparkles!) They wore gold glitter ballet shoes from Old Navy and I found a bow tie that matched the girl's shoes for the ring bearer on Etsy. I gave his parents free reign to get the rest where they wanted and in their budget. I just asked for a plain white button down, black suspenders, black dress pants and shoes. I found my flower girl dresses for my wedding at Marshalls. It was before Christmas so they had some gorgeous dresses and they happened to have the two sizes I needed and they were only $30 each. You should really check there or TJMax. I'm sure they'll be putting out their Easter dresses out soon if they don't have them already. Good luck! Joyfolie has adorable dresses and the quality is great! They were great! I was nervous because they came all vacuum sealed but we had them steamed at the dry cleaners and they looked perfect. The quality was excellent! I was expecting some minor flaws, but not a one! JJ’s house. I’ve gotten two flower girl dresses and two pageant dresses and they were all great!! If you have David’s Bridal, that’s where I got my flower girls dresses. As well as my dress, and bridesmaids dresses. They have SO many options and are bound to find something! BHLDN has really cute flower girl dresses! also jcrew boys suits are so cute! I am a wedding coordinator and without I doubt, I will always suggest David's Bridal and Men's Warehouse. Nordstrom and Dillards are a close second though. Monsoon is an UK brand that has super cute dresses for girls. My daughter has been flower girl 5 times and we’ve worn three of their dresses. Shipping wasn’t too outrageous either even though it comes from a different country. I found a stunning flower girl dress at a very good price at A light in the box. 100% H&M for your boys outfits! Their formal wear fits great, looks perfect in photos and is not a million dollars for something they’ll only wear a few times, maybe once. My boys have been in several fancy weddings and H&M pants and suit jackets, as well as their dress shirts, have been amazing! BHLDN has some super cute options for flower girls - we have a BHLDN store here in Chicago, so I’ve seen them in person and the quality is great! I got married almost a year ago and we bought the flower girl dress and ring bearer suit with suspenders from Amazon. It was so much cheaper than anything we found at David’s Bridal or Men’s Warehouse. I also found a bow tie for the ring bearer that was the exact color name as the David’s Bridal bridesmaid dresses that my bridesmaids wore. He looked so cute and was even able to re-wear it for Easter. Have you shopped online at Clementine Skies? Really beautiful dresses that you don’t see anywhere else!